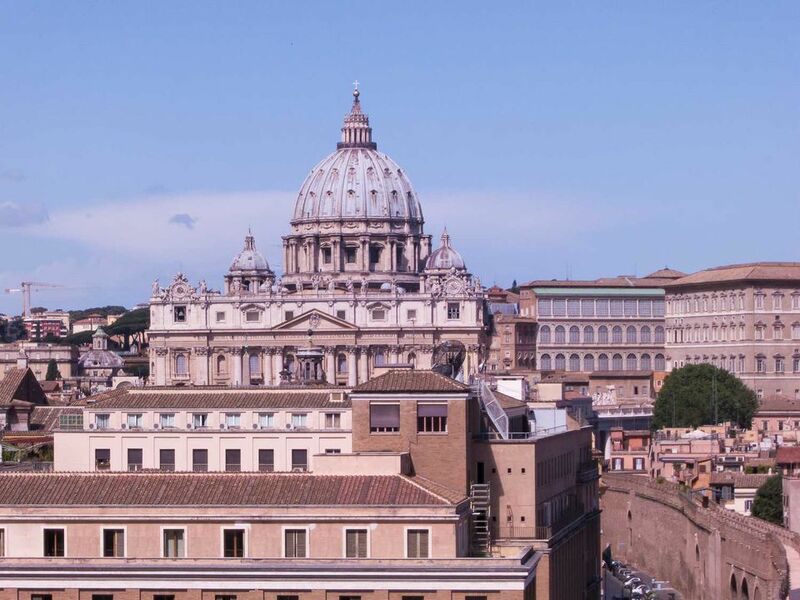 Whether you're religious or not, a trip to the Vatican in Rome is a great addition to your European vacation, and if you'd like to meet the Pope himself, you can make a formal request for a papal audience with relative ease. While receiving a papal audience may not be as hard as one may think, there are still several things you should know before getting a ticket or putting in a formal request. The easiest way to get an audience is to book papal audience tickets and presentation in English, though the Pope also delivers his speeches in several other languages. You'll need to reserve tickets well ahead of time, but tickets to the audience are always free. Audiences with the Pope are held just about every Wednesday morning when the Pope is in Rome, but keep in mind when you visit that the Vatican dress code prohibits shorts and tank tops and requires that women's shoulders must be covered. When traveling from Rome, Italy, to the Vatican, you'll be crossing into an independent country, and although the Vatican is not part of the European Union, rules for inter-country travel within the EU still apply when visiting this holy city so you won't need your passport. The Pope is an early riser, so staying close to the Vatican can help when planning to arrive early enough for a good view of an audience with the Pope, which typically starts at 10 am though people begin lining up three hours beforehand. In the summer, the Papal Audience is held in St. Peter's Square to accommodate larger crowds, but the square fills up quickly almost every visit. While you will need a ticket in advance to get closer to the Pope, Pope Francis has made it very clear that everyone is welcome to attend, whether or not you have a ticket, and there is plenty of standing room around the perimeter of the square. Once the ceremony begins, His Holiness Pope Francis will do a greeting in each language from the visiting groups who've reserved advanced tickets, then lead the audience through small teachings and readings, which will mainly be orated in Italian. The Pope will then conclude by leading those attending in a recitation of the Father Prayer in Latin, which will be printed on the back of your Papal Audience Ticket. Next, the Pope will impart his Apostolic Blessing on the crowd when people near His Holiness can approach to ask that He bless their religious articles like rosary beads. The entire event lasts less than two hours, but many will linger in the Square afterward singing sacred hymns, praying, or taking a special tour of the Vatican. Receiving an official papal blessing is a different story. It can be very difficult to acquire an official papal blessing if you live outside of Rome, and there are limited occasions that warrant a parchment papal blessing including that you must be a baptized Catholic. You can try contacting the Papal Office directly for a blessing via the Apostolic Blessings Office of Papal Charities or by using the request form downloaded from the Office of Papal Charities. However, be sure that your occasion is one that officially calls for a blessing before you submit. Baptism, first Communion, and Confirmation all qualify for an Apostolic Blessing from the Pope, as does marriage, priestly ordination, religious profession acquisition, secular consecration, and special anniversaries and birthdays.